In the past decade Europe has seen much change, and at the same time the importance of the regional perspectives has significantly increased. 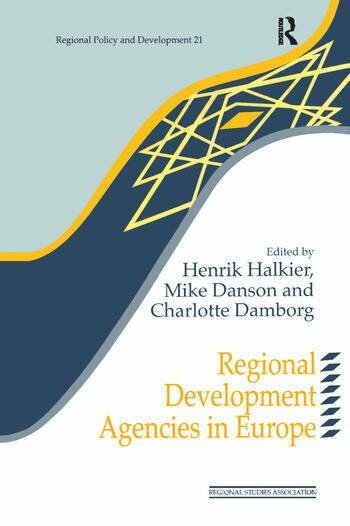 Regional Development Agencies in Europe brings together experiences of Regional and Development Agencies throughout Europe to provide material for the first major comparative study of bottom-up regional policy across the continent. Using an analytical framework developed by editors, the contributors evaluate the long term potential and limitations of the RDAs in terms of promoting regional and economic development. Institutional and other preconditions for successful regional polices are identified, and combined with a broad analytical and geographical coverage that includes Eastern Europe, a clearer picture of the relevance of the RDAs emerges. Part I. Introduction. Part II. RDAS in Western Europe - National Surveys. Part III. RDAS in Central and Eastern Europe. Part IV. RDAS, Regional Governance and Accountability. Part V. RDAS and Public-Private Partnership. Part VI. Policies and Evaluation of Endogenous Development. Part VII: Perspective.